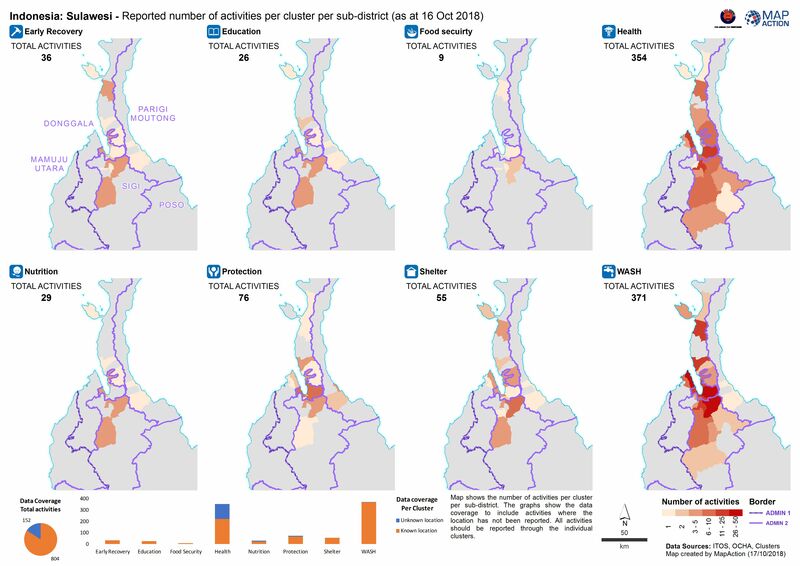 Map shows the number of activities per cluster per sub-district. The graphs show the data coverage to include activities where the location has not been reported. All activities should be reported through the individual clusters.